Fierce as a Samurai, gentle as a kitten. Noble when stroked, fierce when provoked. Register here your akita's show winnings. It's fast and easy. 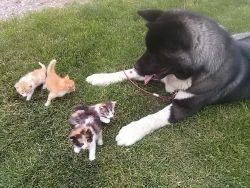 The akita is mentioned in many places as Alpha and very dominant. Well we have news for you,dominance in dogs is scientifically proven to be a myth. The AVSB (American Veterinary Society of Animal Behavior) in its concern for the resurgence of dominance theory issued a position statement. By definition the state of being dominant according to the Merriam-Webster dictionary is defined as a dominant position especially in a social hierarchy. This definition is the one more closely related to and applied to domesticated canines as a perceived behavior of studied domestic wolf families. One particular study done by L. David Mech now has proven dominance to be false information when it comes to how wild wolves live. Some people believe that there was only one dog in the film, I am sorry to disappoint you guys, Vicki Shigekuni Wong, the movie producer blogged about the dogs and their trainers. 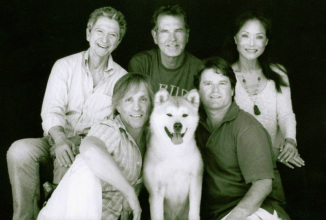 Boone's Animals For Hollywood has been training animals all over the world for over thirty years. Boone Narr's reputation with producers and animal groups is sterling, and his uncanny ability to connect with dogs is amazing to watch! I observed how Boone placed his concern for the dog's well being over everything else, and he worked closely with the American Humane Association to this end. Your doggy education, free e-book. 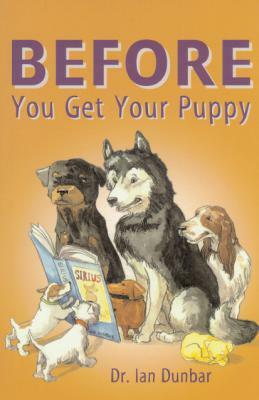 Dr. Ian Dunbar has released his "BEFORE you get your puppy" book for free in e-book form. Dr Dunbar is known for his positive training methods and pioneering off-leash training back in 1982. He is a veterinarian, animal behaviorist, and dog trainer, Dr. Ian Dunbar received his veterinary degree and a Special Honors degree in Physiology & Biochemistry from the Royal Veterinary College (London University) plus a doctorate in animal behavior from the Psychology Department at UC Berkeley, where he researched the development of social hierarchies and aggression in domestic dogs. He created and developed the San Francisco SPCA's Animal Behavior Department, the American Kennel Club's Gazette "Behavior" column, which he wrote for seven years, and the K9 GAMES®, which were first held in San Francisco in 1993 and continue as annual events in Japan and France. He hosted the popular UK television series Dogs With Dunbar for five seasons and has appeared on numerous radio and television programs, including the Today Show (US) and Dash Village (Japan). A few days back I saw a post in facebook about an amazing Akita win , a long coat akita won Best Female of Breed in an FCI exhibition with excellence. Although long coat is considered a fault according to FCI's Akita standard , Mezumi Raj Lasu participated in FCI dog show in Indonesia. 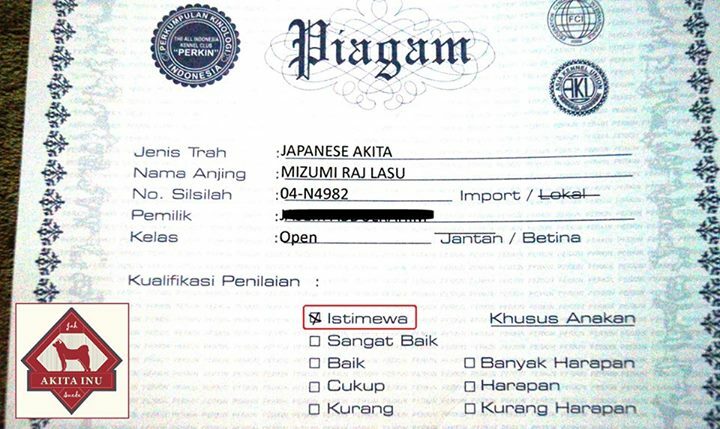 Mezumi Raj Lasu belongs to to Jah Suede kennel in Bali-Indonesia. This must be the very first show win for an LC akita, will this amazing win affect the future of LC akitas in FCI dog shows? Dominance in domestic dogs,useful construct or bad habit? The paper by Bradshaw, Blackwell and Casey called “Dominance in domestic dogs – useful construct or bad habit?” reviews how the term dominance has been misappropriated in the context of domestic dog aggression. It is not a trait of a single animal nor is it a motivation for how they interact. It also discusses recent literature on wolf packs and feral dog packs. 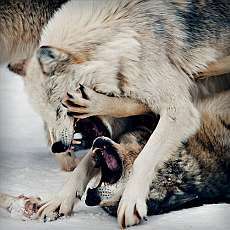 In the popular press, it is easy to use terms such as dominance and pack. We need to remember that the word pack is just a name, just as a group of whales is a pod or a group of birds is a flock. Wolf pack theory evolved back in the 60s based on premise that dogs and wolves, being of the same species, act in the same way. As well, Dr Mech’s book (The Wolf: Ecology and Behavior of an Endangered Species) was published at this time. Unfortunately this data was based on observing an artificial wolf pack (a group of captive unrelated wolves). This led to the popularization of the terms such as alpha and dominance. Think your akita is smart? 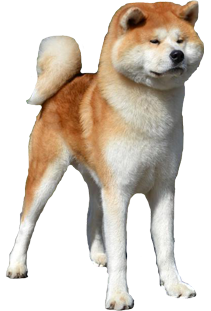 Google sabotaging akitas, or, we do it?